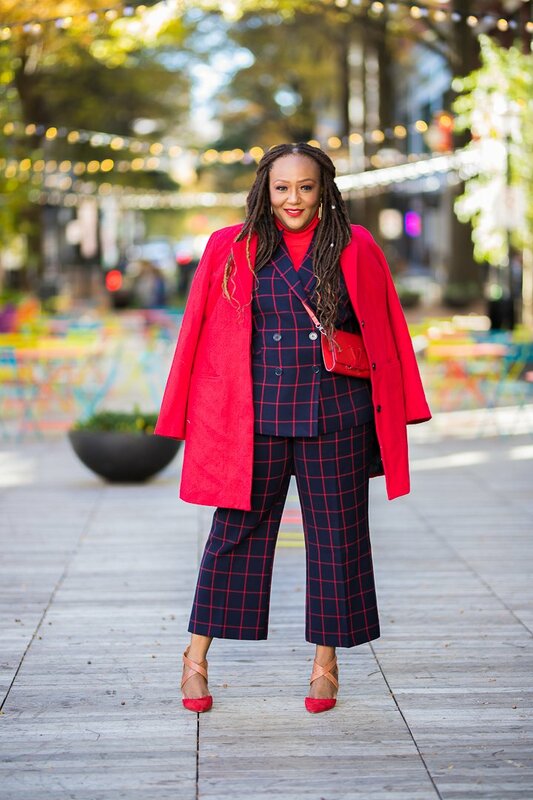 If you are going to commit to one new look this season, may I strongly suggest you upgrade your fall wardrobe with a power pantsuit. 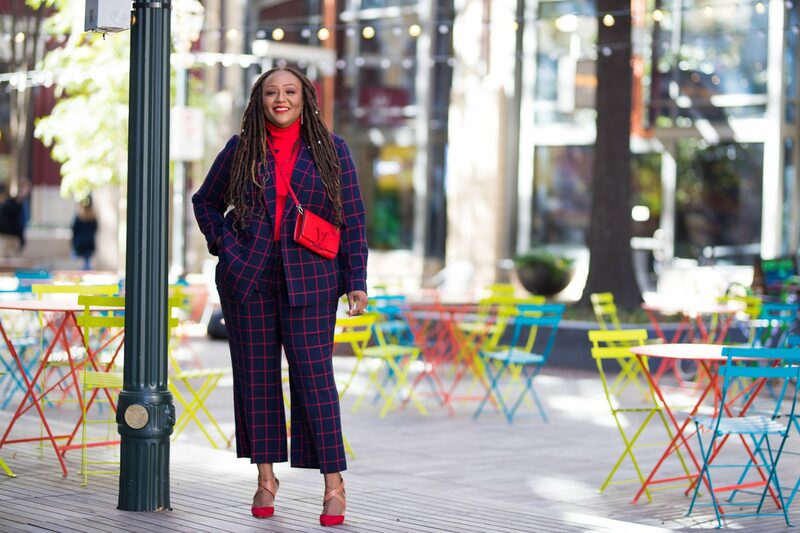 Serving up all kinds of empowered GIRL BOSS vibes, the female pantsuit is back and for all the right reasons. 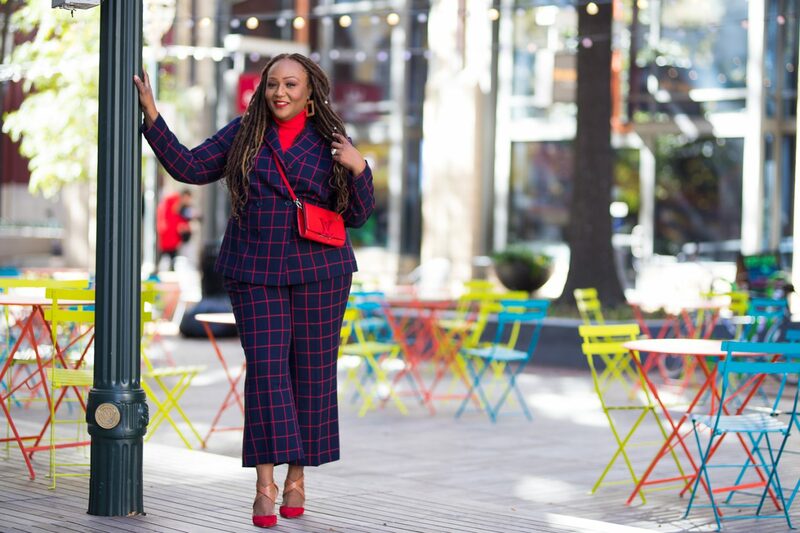 With such an abundant variety of shapes, silhouettes, colors and prints to choose from, the style possibilities are endless. 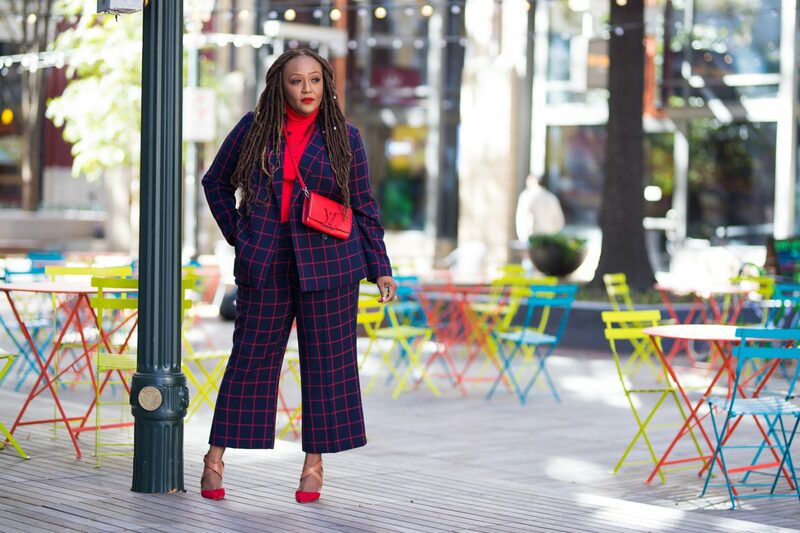 Hands down, the pantsuit is definitely one of the most empowering ensembles a woman can wear. 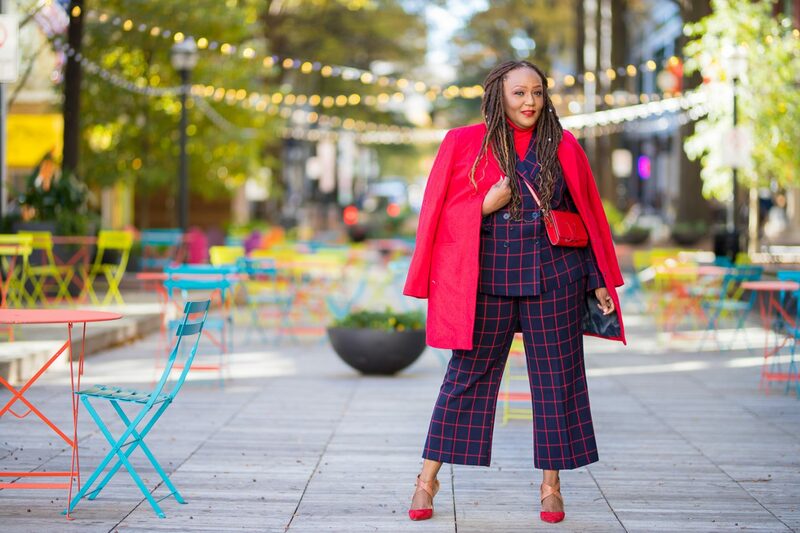 Whether styled conservatively for a power move in the office, or dressed down with no shirt and sneakers for a more casual look, pant suits are super versatile. 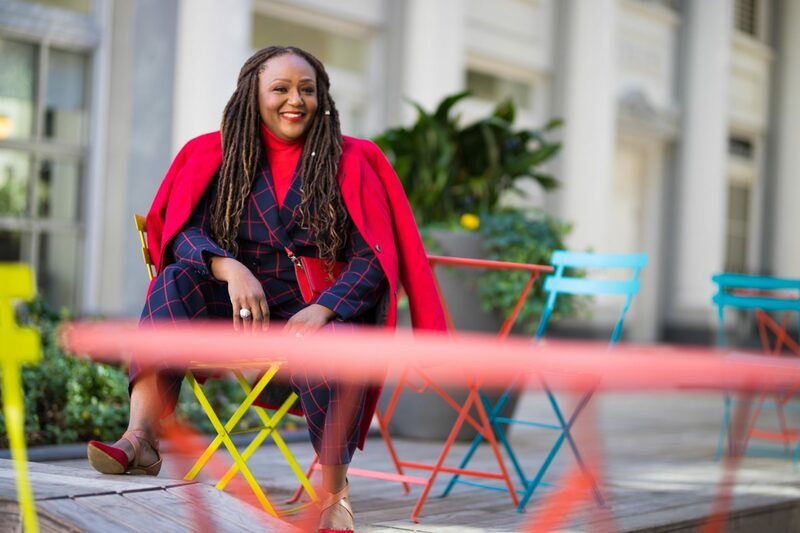 Personally, I am loving all the different prints and bold colors that are on trend now. You no longer have to simply opt for the traditional black, navy and grey either. 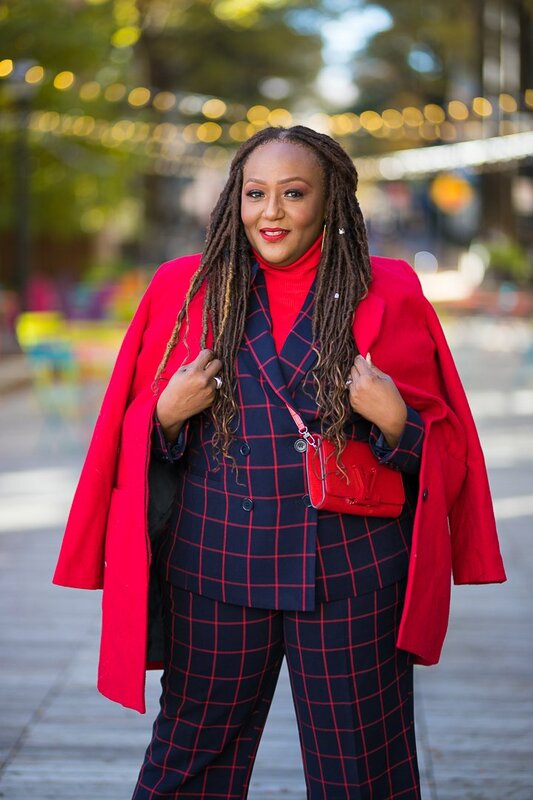 Take this ELOQUII suit I’m wearing here. 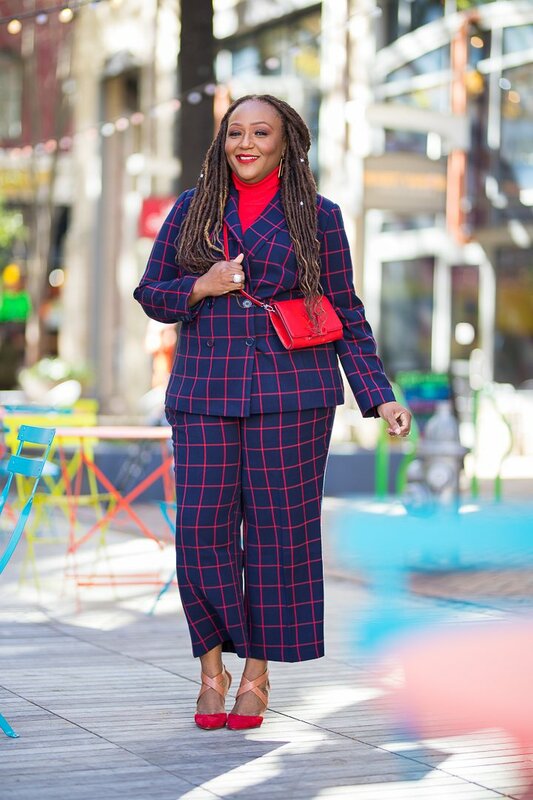 This red and navy blue windowpane printed beauty is as playful as it is powerful. 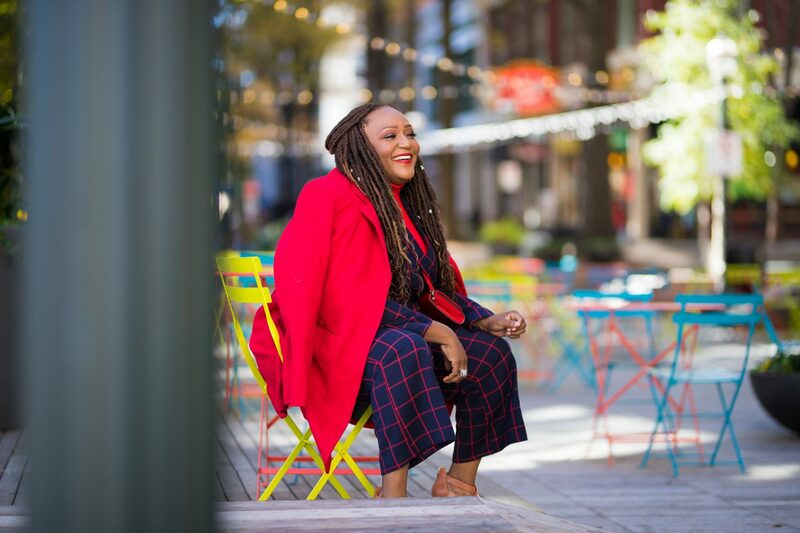 They are so many ways to style this piece together or separately. Add a white graphic tee with red lettering and a pair of white and red Chuck Taylors for a casually playful look. 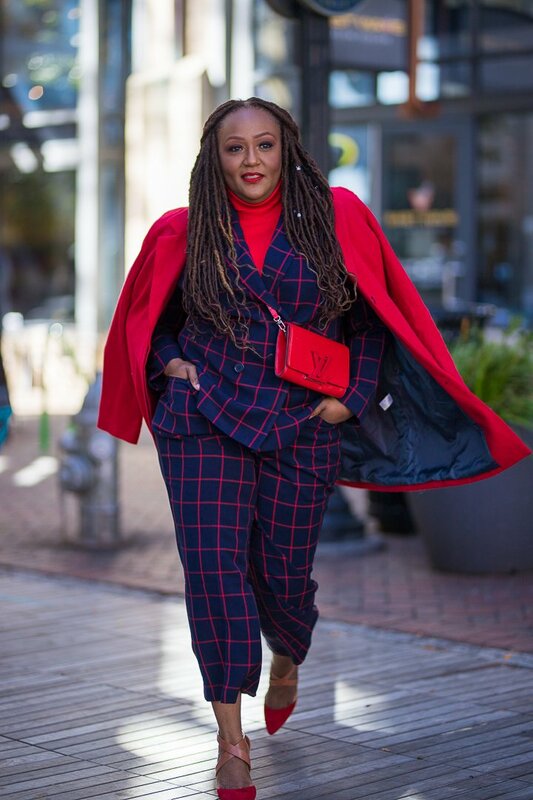 ELOUII got everything right with this suit. 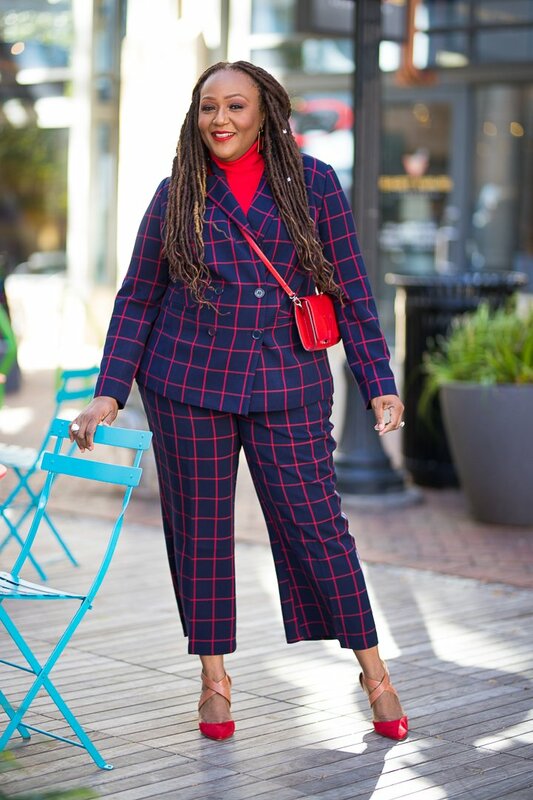 The flared-leg culottes, the double-breasted jacket and the classic windowpane print all work well together and sold me on this particular pant suit. It’s a statement look. If you haven’t purchased it, you definitely should! It’s already a classic. 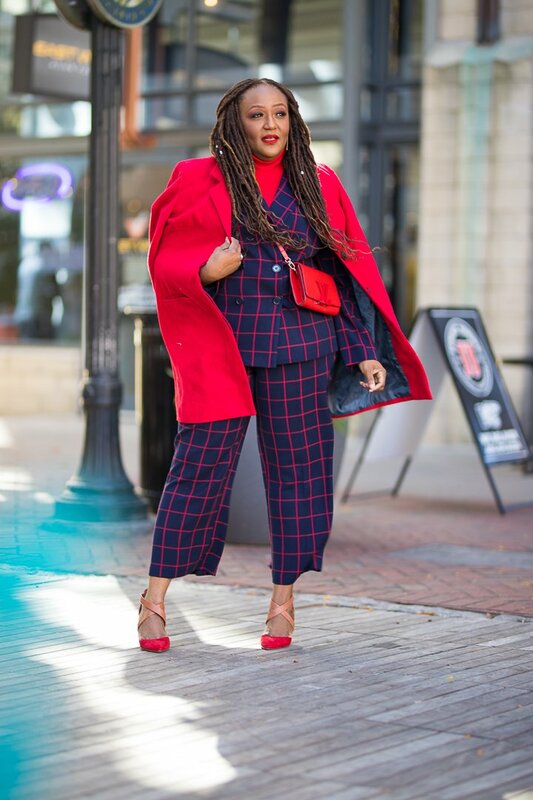 I love this look on you and I love a nice pant suit! I especially like the ones from White House Black Market on here.